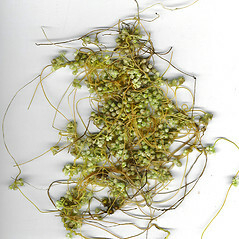 Field dodder is a parasitic plant native to North America. 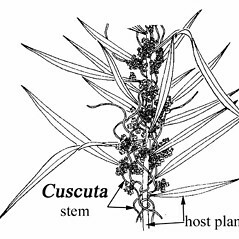 It has been introduced to many other parts of the world due to the fact that its hosts include a number of important crop plants. 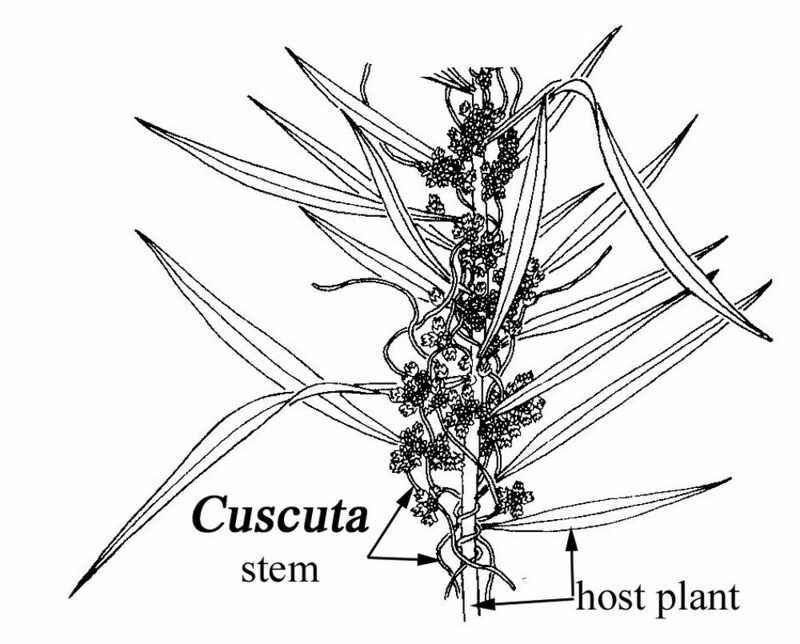 In New England it has been collected only in Massachusetts, parasitizing smartweeds (Persicaria). flowers usually with 4 corolla lobes, each lobe erect to ascending, calyx lobes acute to narrow-obtuse at the apex (vs. C. campestris, with flowers with 5 corolla lobes, each lobe spreading to reflexed, and calyx lobes broad-obtuse at the apex). 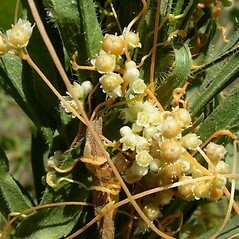 calyx lobes broad-ovate to rhombic, broadly overlapping at base, protruding to form angles, flowers mostly 1.4–2.1 mm long, and seeds 0.9–1.1 mm long (vs. C. campestris, with calyx lobes ovate-triangular, not or scarcely overlapping at base, flowers mostly 2.1–3.6 mm long, and seeds 1.1–1.5 mm long). Cuscuta arvensis Beyrich ex Hook. var. calycina Engelm. 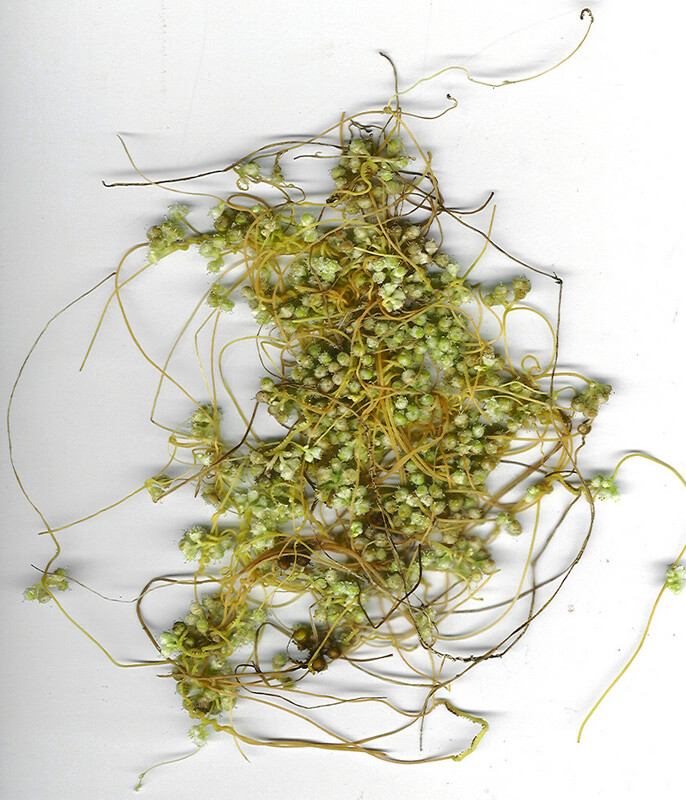 field dodder. Cuscuta arvensis Beyrich ex Hook. var. calycina Engelm. 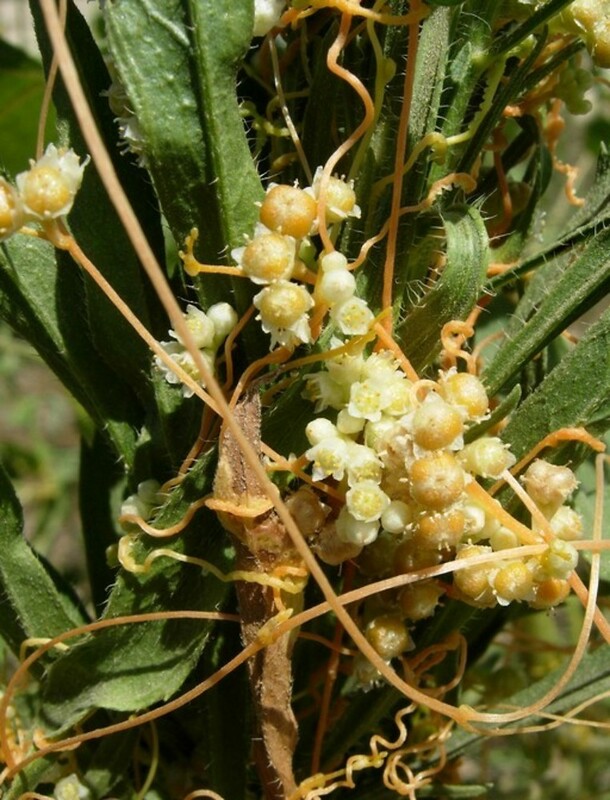 ; C. pentagona Engelm. var. calycina Engelm. ; Grammica campestris (Yuncker) Hadac & Chrtek • MA. Parasitic on a large number of herbaceous tracheophytes, in New England observed on Persicaria.